Would you like to become a volunteer? Click this link for an online application. Simply fill out the application and come to a general membership meeting, typically on the first Tuesday of each month at 7pm. Open House 2017 at Herald Harbor Volunteer Fire Department! Great October weather allowed us to show off our equipment and teach kids about safety. If you would like to see the pictures click here. 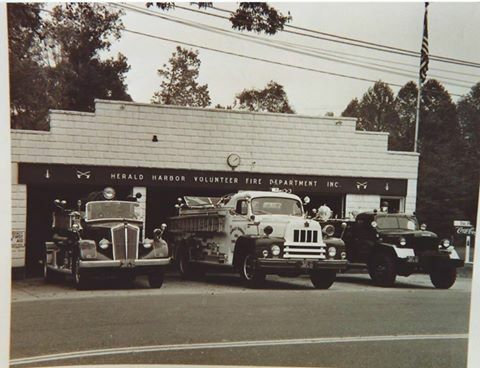 For anyone who can remember, here is a picture of the original Fire Department. This picture was taken circa 1960. This summer's concerts are now over and were a great success! Thank you for coming out and supporting the community and the Fire Department. See you next summer! 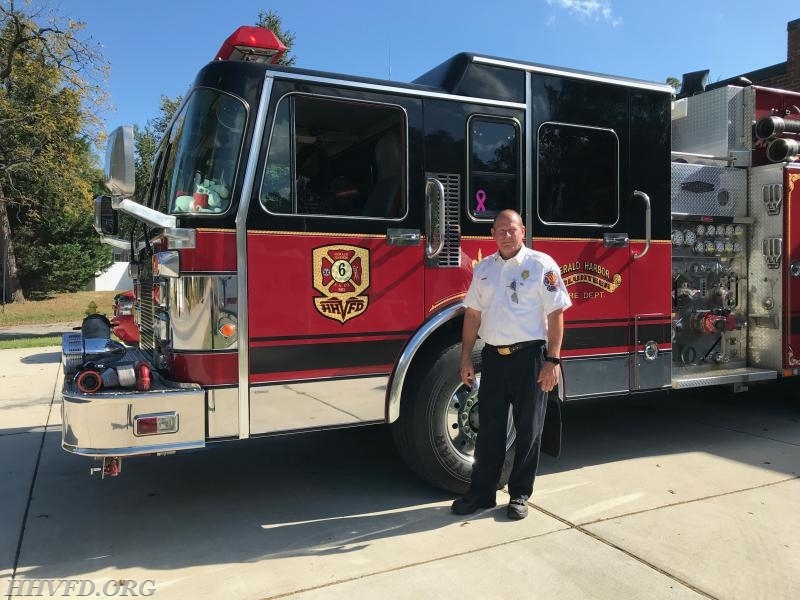 WOULD YOU LIKE TO KNOW WHATS GOING ON WITH THE ANNE ARUNDEL COUNTY VOLUNTEER FIRE FIGHTERS? CLICK HERE TO ACCESS THE AA COUNTY VOLUNTEER FIRE FIGHTERS WEB SITE. WHAT YOU NEED TO KNOW ABOUT BOATER'S SAFETY. With the approach of warm and dry weather in the summer months, the dangers of brush and wildfires increases. The officers and members of the Herald Harbor Volunteer Fire Department would like to encourage members of our community to be FIREWISE. Firewise Maryland is a community education effort through the Maryland Department of Natural Resources, Forestry Service to help homeowners make their properties safer in the event of wildfires. Please visit the Forestry Service Firewise Maryland website and look for displays at the Summer Concerts and our other community events for more information on how to make your home Firewise. You can also call the firehouse directly at 410-923-3990 for more information. FOR EMERGENCIES CALL 911. The Vial of L.I.F.E. (Lifesaving Information for Emergencies) program is designed to speak for you when you are unable to speak for yourself. Help us help you. Always have your house numbers displayed and visible from the street so we can easily find your home. Most houses, up to about 40 feet from the street, and mail boxes should have atleast numbers 4 inches in height displayed. The furthur your house is from the street the larger the numbers should be. The color of the numbers should contrast from the back ground color. Your numbers should be displayed on your mail box and on your house, especially on driveways with multiple houses. The roadway lighting in Herald Harbor is not the greatest, to say the least, so reflective numbers would help even more. Here are pictures of a not so great display and a good display. Also, be aware of the water supply in your part of the neighbor hood, fire hydrant, underground tank, designated open water drafting sites, etc. As you know the Harbor is supplied with county water and fire hydrants but a major part of our area is not so lucky. Make sure hydrants, under ground tank connections and the designated open water fire department drafting areas are clear and easily accessable to the fire department vehicles. If you notice an area of concern please notify county public works or your neighborhood community association. If you feel it is of a concern that should be address right a way you can call us directly and also call public works and/or your community association. Don't assume someone else called. What do they say? "the squeeky wheel gets the grease". If you would like to know the locations of water supply sites you can always stop by the firehouse and ask to see them on our map. Please take a moment to sign our Guestbook. Your comments are appreciated.